Nigerian leading Industrialist Aliko Dangote says Nigeria will stop sugar importation by 2018 as President Goodluck Jonathan launches Nigeria Industrial Revolution Plan (NIRP) in Abuja. Dangote spoke on Tuesday at the launch of the NIRP and the National Enterprise Development Programme (NEDEP), described the launch as giant stride because stakeholders were carried along in their conception. He said that with the enabling environment, right policies and political will of the Jonathan’s administration, the sugar sub-sector would witness the same turnaround as in cement. Specifically, he said with the backward integration policy introduced in the sub-sector, Nigeria would cease to be a net importer of sugar in the next four years. He recalled that from the net annual production of two million tonnes of cement few years back, which was not adequate for local consumption in 2013 the country for the first time exported cement with a net production of more than 29 million tonnes. 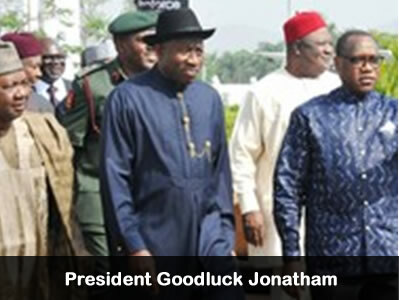 Dangote hailed the Jonathan administration’s efforts to bring down bank interest rate to manufacturers to single digit. He said that while his company was constructing the Obajana cement factory in Kogi, he borrowed at 4 per cent interest rate with short term of 90 days. On his ongoing refinery and petrochemical project, Dangote said that at completion in 2014, 65 per cent of its capacity would provide the needed gasoline, diesel and kerosene in the country. He said the factory would also have the capacity to produce 900,000 tonnes of polyethylene for the production of plastics and tiles. The National President of Manufacturers Association of Nigeria, Chief Kola Jamodu said the launch of the two programmes was a landmark initiative. Jamodu said if properly and faithfully implemented, NIRP and NEDEP would launch the country into industrial revolution. The National President of NASME, Mr Godswill Nnebong, said more 17 million small and medium scale entrepreneurs had benefitted from fund and training by SMEDAN.